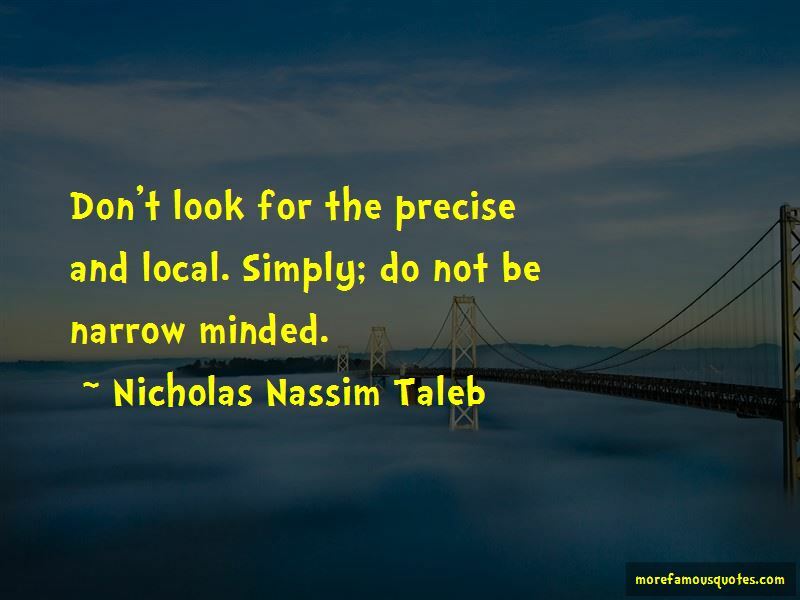 Enjoy the top 17 famous quotes, sayings and quotations by Nicholas Nassim Taleb. Author discussed what he calls the "narrative fallacy." This refers to our "limited ability" to look at a sequence of facts "without weaving an explanation into them. Look into your own existence. Count the significant events, the technological changes,and the inventions that have taken place in our environment since you were born, and compare them to what was expected before their advent. How many of them came on a schedule? Look into your own personal life, to your choice of profession, say, or meeting your mate, your exile from your country of origin, the betrayals you faced, your sudden enrichment or impoverishment. How often did these things occur according to plan? Black Swan has three attributes: unpredictability, consequences, retrospective explainability. Beware of precise plans by government. Let government predict: it makes them feel better about themselves and justifies their existence. “There are some people who, if they don't already know, you can't tell them. 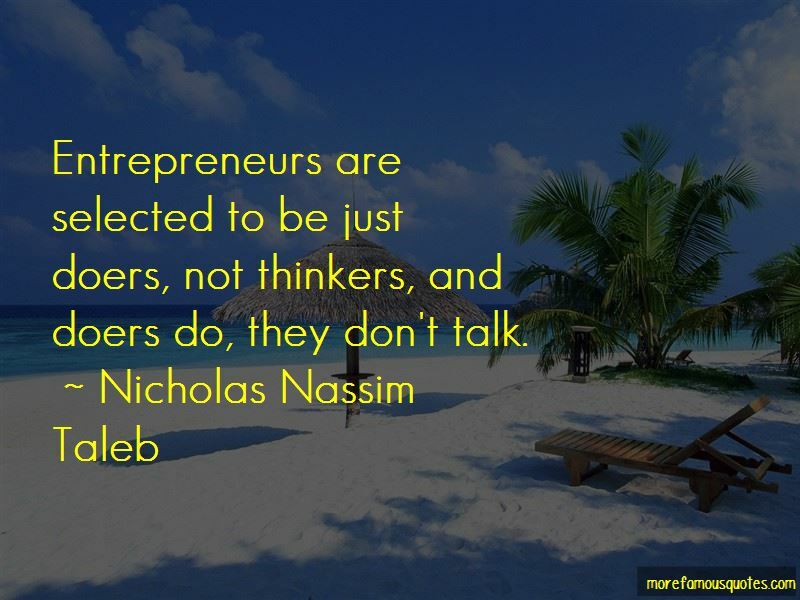 Entrepreneurs are selected to be just doers, not thinkers, and doers do, they don't talk. Always remember that, in a modern environment, wars last longer and kill more people than is typically planned. 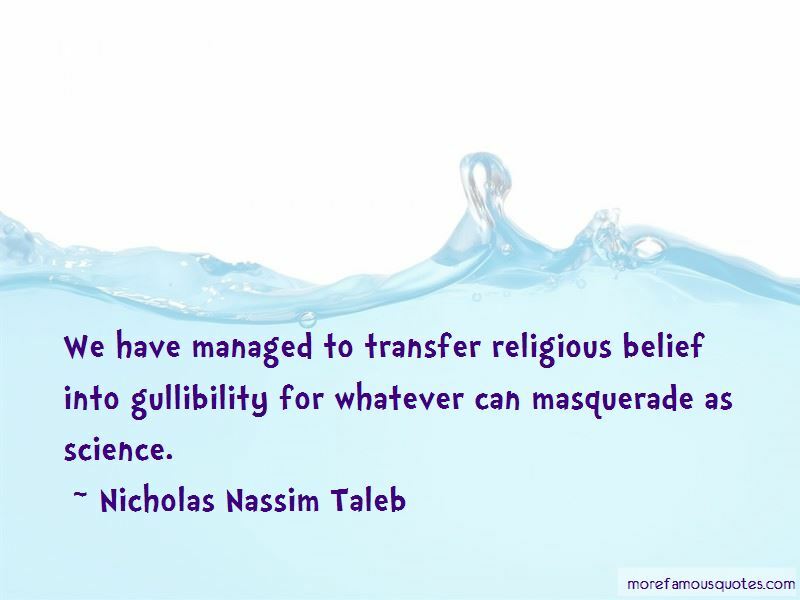 Want to see more pictures of Nicholas Nassim Taleb quotes? 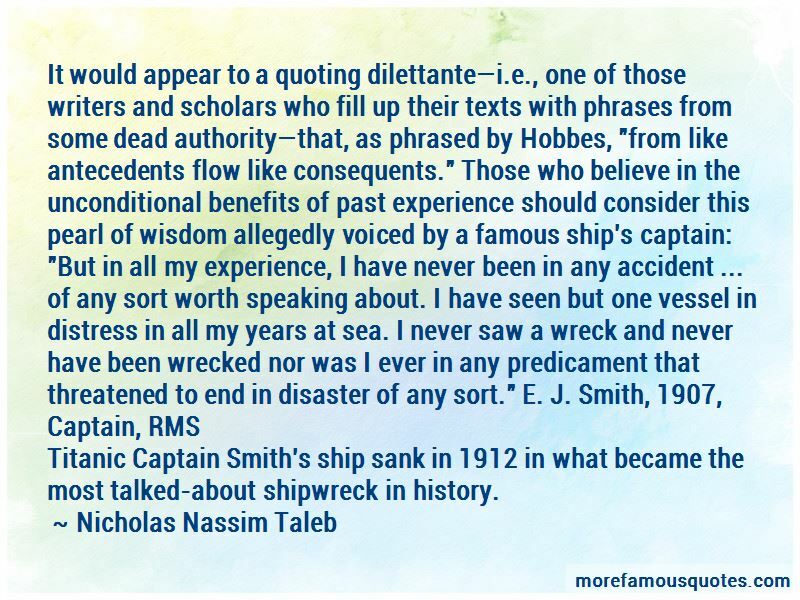 Click on image of Nicholas Nassim Taleb quotes to view full size.